Our sport and dog fancy is currently under constant attack by anti-dog groups at the national, state, county and local levels of government. These organizations are throwing millions of dollars into their campaigns to eliminate dog events, breeding of dogs, and basically dog ownership. They hid behind the guise of animal abuse, puppy mills, shelter dogs, etc. trying to lay the blame for these on breeders. 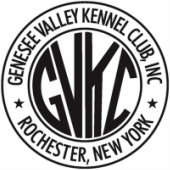 GVKC is taking action to help organizations such as the American Kennel Club (AKC) and the Associated Dog Clubs of New York State (ADCNYS) fight these legislative efforts to take away our sport and ability to own, breed, and show dogs. Everyone can help by taking the time to look at what laws already exist in regards to dogs on the town, county and state level and to engage with your local representatives to position yourself to find out when new legislation is coming up. Trying to change what has already been made law, is an extremely frustrating and difficult job. But, getting ahead of the curve and fronting a movement against new legislation is a better approach and has been having success all across the nation. Numbers in politics is the key in showing legislators that there is support (both for or against a new bill) in the dog fancy community. We do have resources available to us here in NY. We have an AKC legislative representative and the ADCNYS has a lobbyist. Both are ready to support us but cannot do so if we do not get involved and pass on the information of pending bills. For more information, contact Gini Denninger at 585-760-3880 or GiniDRealEstate@gmail.com. Below is current legislation pending in New York and the US. A06646 (and S05478) sets standards for the care of breeding dogs and their puppies. providing canine training for non-service and non-police dogs. A06737 changes the killing a police work dog from a class E felony to a class D felony. A06801 (and S05354) describes the standards for the designation of therapy dog. A06860 provides that dogs engaged in hunting and training shall not be considered to be running at large. purchase of the animal from a pet dealer. A07083 (and S05080) relates to therapy dogs and cats for persons with a disability. A07195 exempts certain parties from the definition of pet dealer. S05248 provides liability for medical costs resulting from a dog bite. S05515 relates to improvements in shelter care for dogs. As a first step in this "war", GVKC organized an all day seminar with presentations regarding the legislation efforts of the anti-dog organizations. It was specifically invitation only (sent to all NY dog clubs and associations) to ensure that participants did not come with a hidden agenda of finding out what we were "up to" for the anti-dog organizations. The seminar was well attended by around 30 people from all over NY state.